Your business relies on an economical and robust heating, cooling and ventilation solution that will provide reliable performance with efficient operation. However even the best equipment will eventually need to be replaced, and as a system ages the maintenance and repair costs will begin to increase. Plus, modern HVAC equipment is much more efficient than it was a decade ago, resulting in pleasantly lower energy bills. Buildings change over time and affect the required workload of an HVAC system. An office building that ten years prior contained a small group of architects looking over drawings, but now is the bustling headquarters for a newspaper, will have significantly different heating and cooling requirements. These should be considered before new installation. Simply replacing a unit with the same capacity will not result in efficient performance. 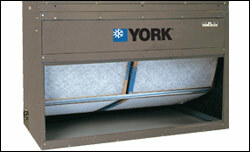 ALL WEATHER HEATING and COOLING is specialized in determining the perfect product fit for your requirements. We will accurately determine load size and provide you a system producing optimal and efficient results. We provide our Clarksville area customers with extensive preventative maintenance plans. A commercial heating, cooling and ventilation system is no different than any other equipment: it requires attention to maintain peak running efficiency and performance levels. Our preventative maintenance plans cover everything from tune ups to seasonal preps and filter changes. For the finest Clarksville HVAC retrofit, installation and maintenance services look no further than ALL WEATHER HEATING and COOLING! 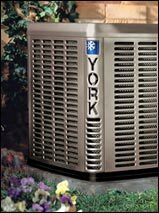 York® has a long tradition of designing and manufacturing innovative products that are second to none in performance and value. From energy savings to enhanced comfort control, York® provides the advanced solutions to meet the needs of our customers. We have one primary goal: The complete satisfaction of our customers. 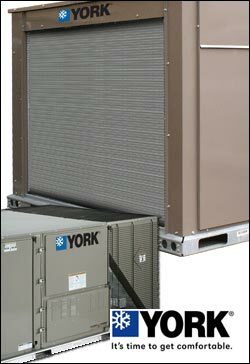 With York® air conditioning, heating and ventilation solutions, we know that our commercial customers have the very best systems keeping their businesses going. It just doesn't get much more important than that.